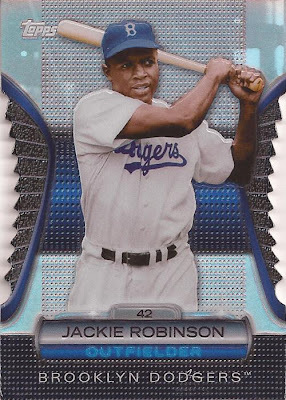 2 by 3 Heroes: 2013 TOPPS, BABY! Actually...er....no. I didn't get to the store, and I don't have any budget for cards until later in the week. So I don't have any packs I can share with you today. And right here is says "Jeff is a lying jerkwad". I did, however, receive my die cuts from the 2012 Golden Giveaway. Will that do at this moment? Then, if you hold the ALT key and hit the left arrow, you can return to the previous webpage. I scored a total of five cards from the giveaway. 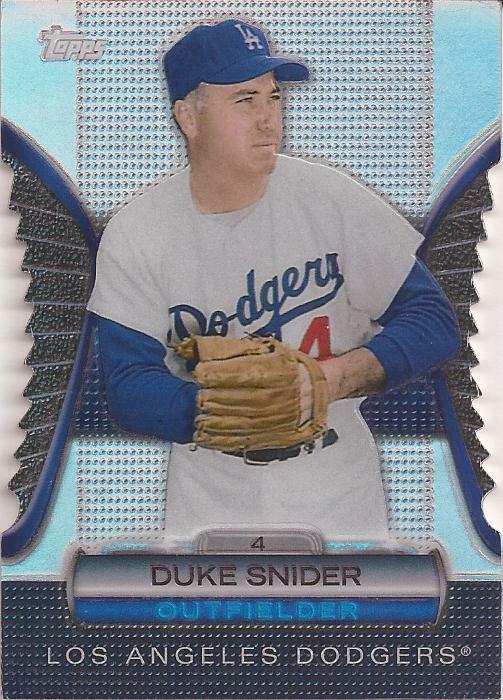 Of the cards I had delivered, I pulled one, and the other 4 were obtained through trades. But enough - let's scan and post. 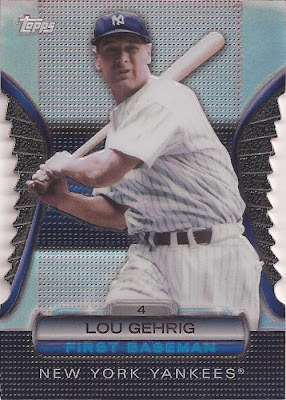 This card was a no brainer. He is the only White Sox available. Had to have him. 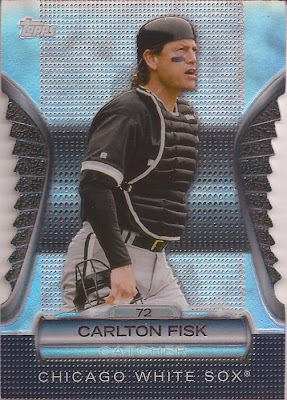 I was able to flip a Brewers Robin Yount into this card. One HOF'er for another. Thome is too nice a guy, and a future HOF'er. I unlocked a Rays David Price and was able to get this card in it's place. 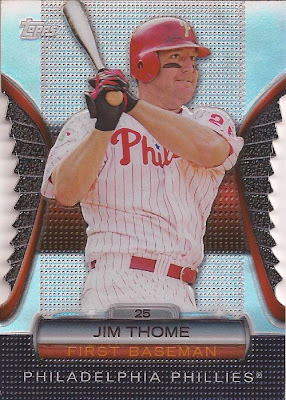 The curious part is that on the Topps website, it lists Thome as a Phillie, but the card mockup has him as a member of the Tribe. 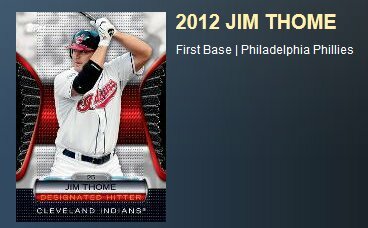 Either/or - I have a Thome, and it's beautiful. The one and only Duke. This was the first card I traded for, giving the end user Steve Carlton. Two cards left, and boy are they nice in my mind. ...which is the only card of the five I unlocked. So some great additions to my binders. them's some purty cards. hey - i have a ginter 306 ryan howard caard for you. i'll try to get it in the mail with some other stuff this week, but i'm traveling so it probably won't be until next week. I personally didn't indulge in the "Golden Giveaway" thing, but I have to admit those are pretty nice cards. The "Duke" is probably my favorite from your bunch. Nice. I've got a couple en route, as well. I actually enjoyed this promotion -- except for the fake coins and such. The cards that you were able to unlock as well as the ability to trade were both fun, at least in my world. Good 80s song, even if the titular euphemism is a bit much.